﻿ Louis Saha: "Cristiano Ronaldo doesn't need a team to score goals, while Messi does"
16.12.2011» Saha: "Ronaldo doesn't need a team to score goals, while Messi does"
Louis Saha has no doubts when it comes to elect the most complete football player in the World. The French international chooses Cristiano Ronaldo on that debate and can't see Messi capable to dethrone CR7 as a better all rounder player. 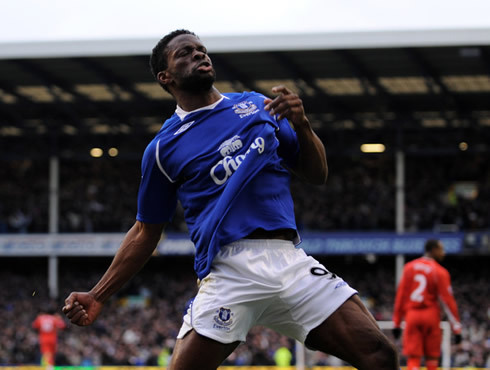 The 33-years old Everton player, Louis Saha, ranked Cristiano Ronaldo as the most complete player in the game, above the likes of Lionel Messi. 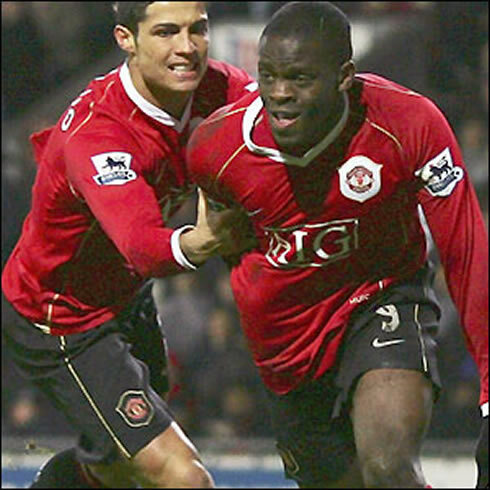 The French striker, who cohabited with Ronaldo in Manchester United between 2004 and 2008, granted an interview to France Football this week and had nothing but praises for CR7. Saha assured that his former teammate at Manchester United is a far more complete player than Barcelona's Lionel Messi, since he doesn't need a team to play for him, as he can do all on his own if necessary. 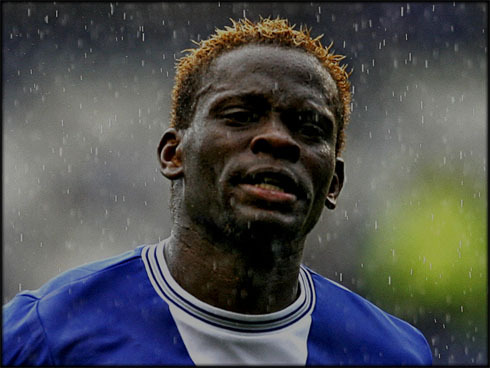 Louis Saha arrived to England in 1999 to represent Newcastle United, on a loan by the French club, Metz. In 2000, he got transferred to Fulham and proved to be one of the most promising strikers in the English Premier League back then, after scoring 53 goals out of 117 games, for a club without very big aspirations as they were always far from being a a league contender. 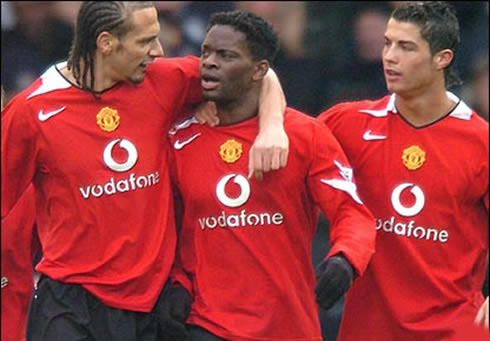 Saha got rewarded for his performances and ended by joining Cristiano Ronaldo in Manchester United in 2004, having scored 28 goals out of 86 matches, when playing for the Red Devils. Three years ago, in 2008, the French player moved to Everton FC and that has been his home ever since. In this interview to France Football, Saha confessed his belief that Cristiano Ronaldo is the most complete player in the World and he explained his reasons. 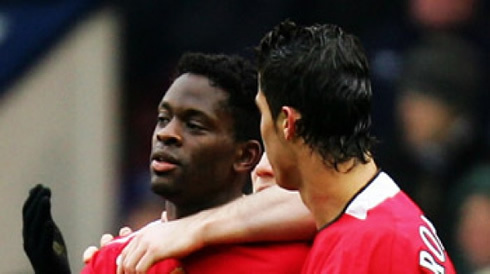 Saha: "We simply can't find a more complete player in the World. Cristiano Ronaldo can play in any position, since he will always score goals due to the fact that he's faster and jumps higher than everyone else. His endurance is outstanding, as it is his power shot", said the French player just before adding a few more notes to help sustaining his claims. Saha: "Ronaldo can score up to 30 goals in any team! And he can do that because he doesn't depend on a team to find the back of the net. Lionel Messi can be regarded as the best player in the World, but I'm pretty sure that he depends and needs his team to do his game and score that many goals", remarked Saha when raising an issue that has been approached several times in some of our past published articles. While Cristiano Ronaldo has already experienced succesfully 3 different leagues, (Sporting CP - Portuguese League, Manchester United - English Premier League and Real Madrid - Spanish League), in the other hand, Lionel Messi has spent his entire career at Barcelona, without proving his value across borders, in different teams and championships. Before finishing his interview, Louis Saha also shared his opinion on how much he thinks the English Premier League is different from the others. 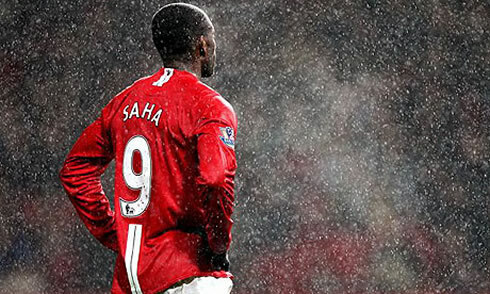 Saha: "This league has became much more intense, as well as quicker and more physical. These days, the tactical element doesn't play a big role here, since all that seems to matter is to be strong, but also physically and mentally ready for the challenges, because they just keep coming over and over", noted the Everton player when analyzing a few of the specificities that make the English Premier League so special and admired all over the World. Real Madrid next match will be against Sevilla, for the Spanish League "La Liga". Cristiano Ronaldo is will be on the line-up, and the game will be held in the Sánchez Pizjuán. You may watch Sevilla vs Real Madrid online this Saturday for "La Liga" and QPR vs Manchester United free on Sunday, for the English Premier League. You may also follow Barcelona vs Santos live for the FIFA Club World Cup final. All these games are available from our soccer live streams section.